Want to be notified of new releases in ddrown/Arduino_NTPClient? This is a NTP client for the ESP8266/Arduino platform. It was originally based on the example NTP client bundled with the Arduino Time library, but is largely rewritten. 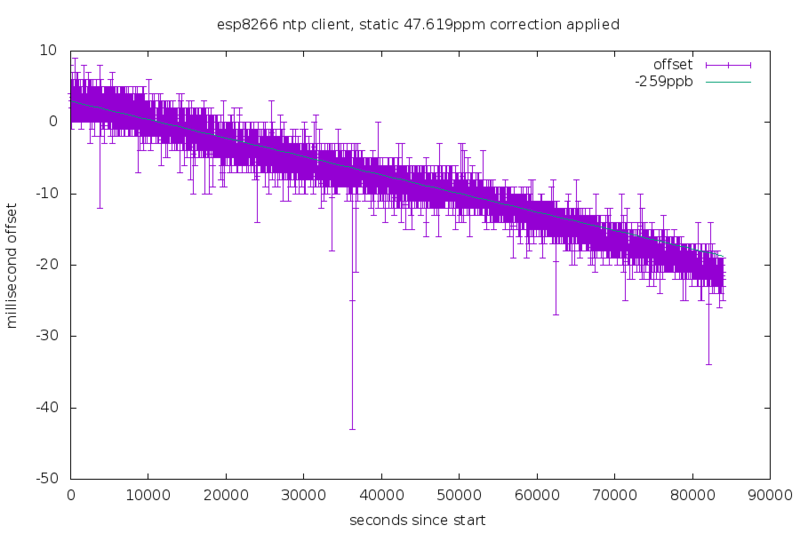 The purple errorbars are the uncertainty added to the offset by the round trip time. The cyan line is to give a reference of what -0.259ppm looks like.